CHICAGO, Feb. 7, 2018 /PRNewswire/ -- The American Academy of Pediatric Dentistry, (AAPD) the leading authority on children's oral health, is using February's National Children's Dental Health Month to stress the importance of baby teeth. While all parents know baby teeth eventually fall out, it's important to keep them healthy. After all, they're the blueprint for your child's permanent teeth! 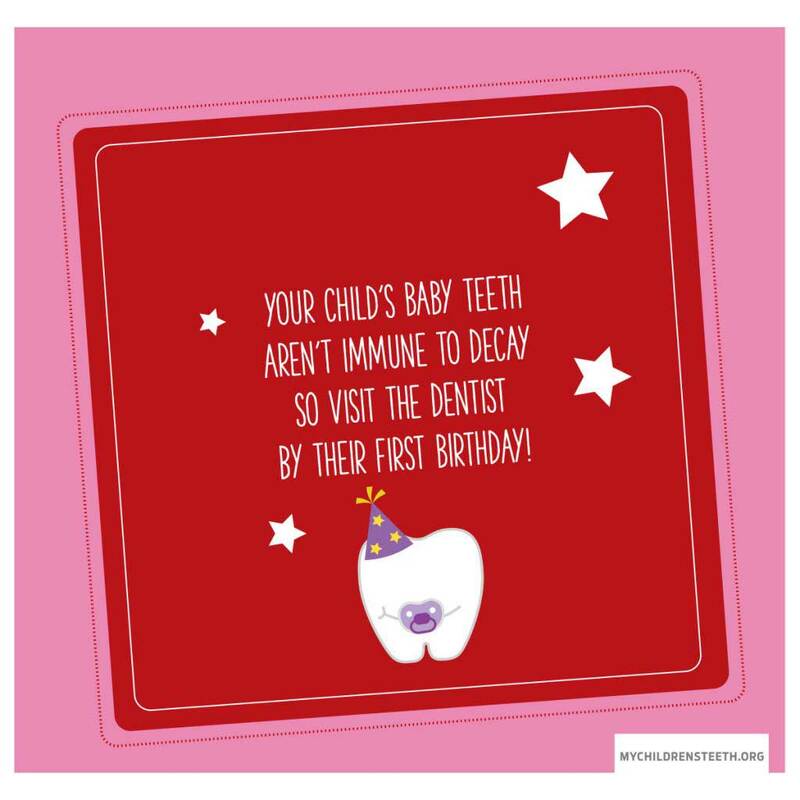 Your Child's Baby Teeth Aren't Immune To Decay So Visit The Dentist By Their First Birthday! My Sweet Valentine, Your Smile Is Amazing. 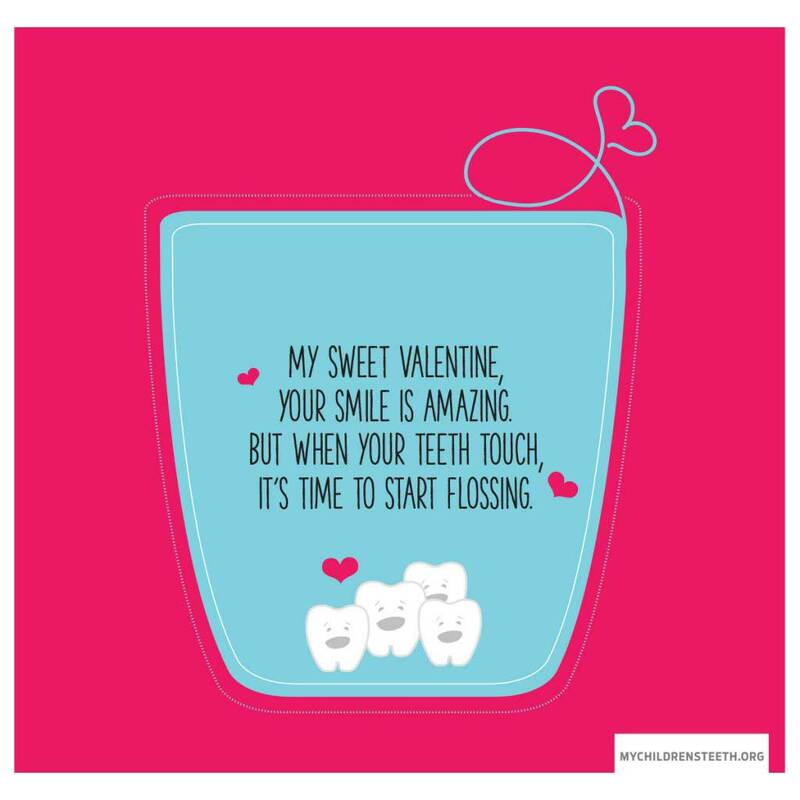 But When Your Teeth Touch, It's Time To Start Flossing. 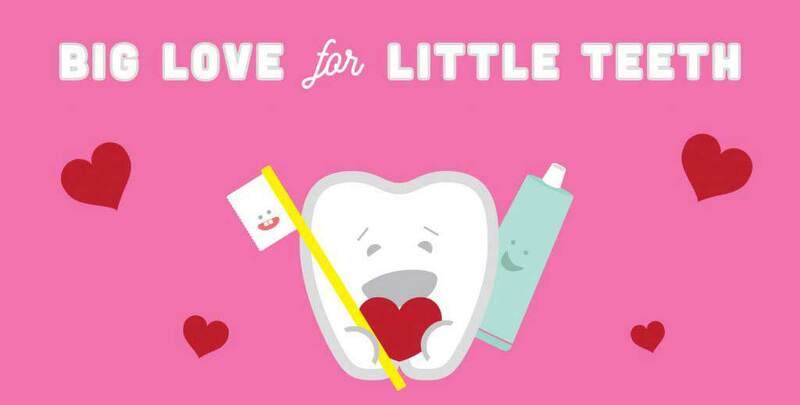 I Love Your Sweet Smile, Those Cute Pearly Whites, So Brush And Floss Twice A Day, To Help 'Em Shine Bright. 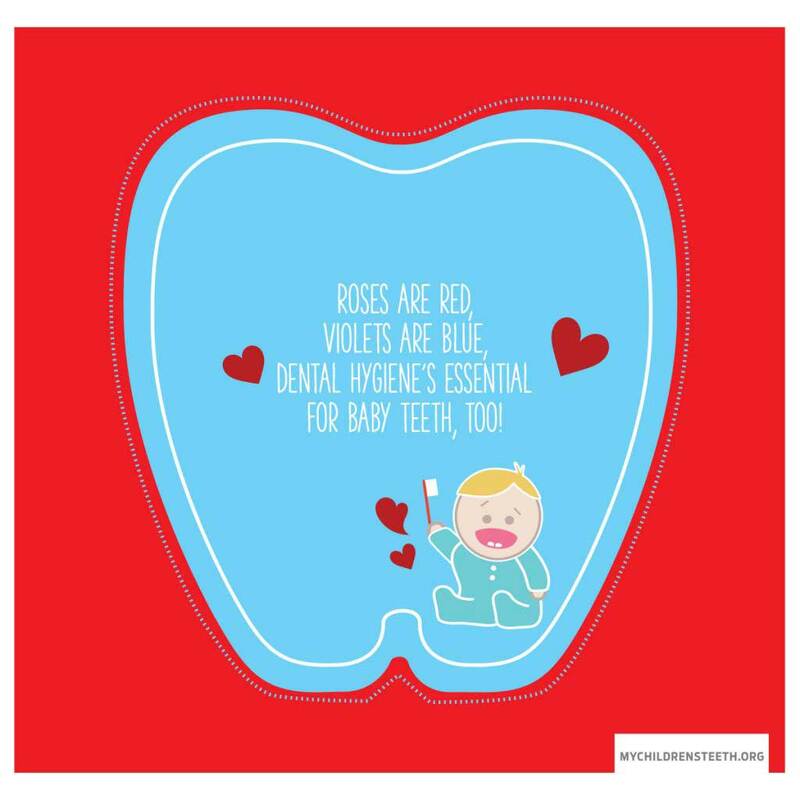 Roses Are Red, Violets Are Blue, Dental Hygiene's Essential For Baby Teeth, Too! 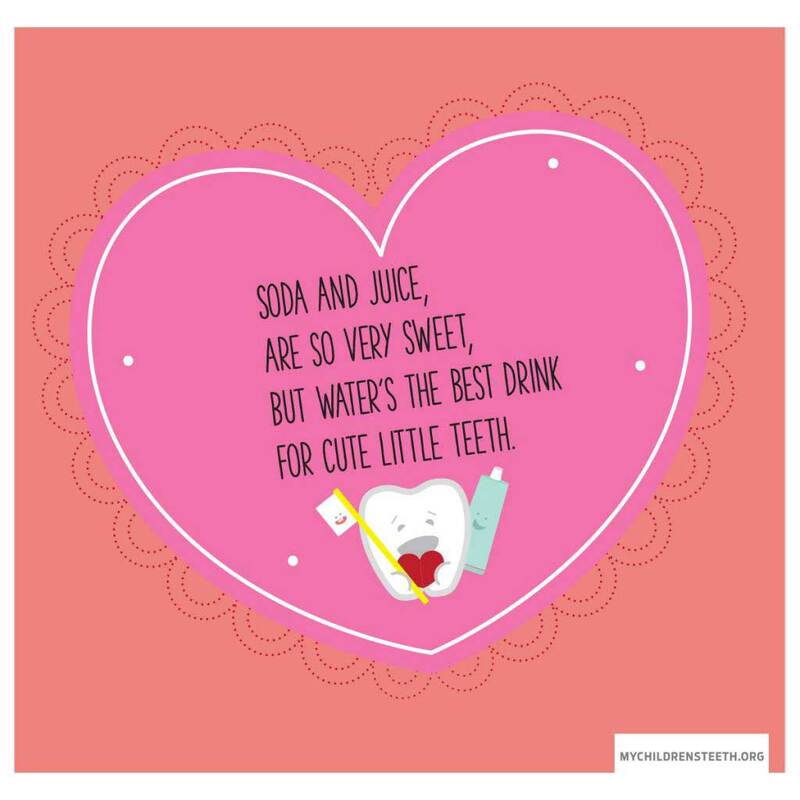 Soda And Juice, Are So Very Sweet, But Water's The Best Drink For Cute Little Teeth. Some of the most common causes of childhood cavities are diet and oral home care. Unfortunately, the common American diet includes frequently eaten snacks or treats that are high in carbohydrates and sugars which can make cavities grow. However, with proper dental hygiene, tooth decay is nearly 100 percent preventable. And since baby teeth are vulnerable to decay from their very first appearance, children's teeth should be brushed for two minutes two times a day, and flossed as soon as they start touching. According to AAPD President Dr. James Nickman, "One of the first actions parents and caregivers should take is to establish a Dental Home with a pediatric dentist. 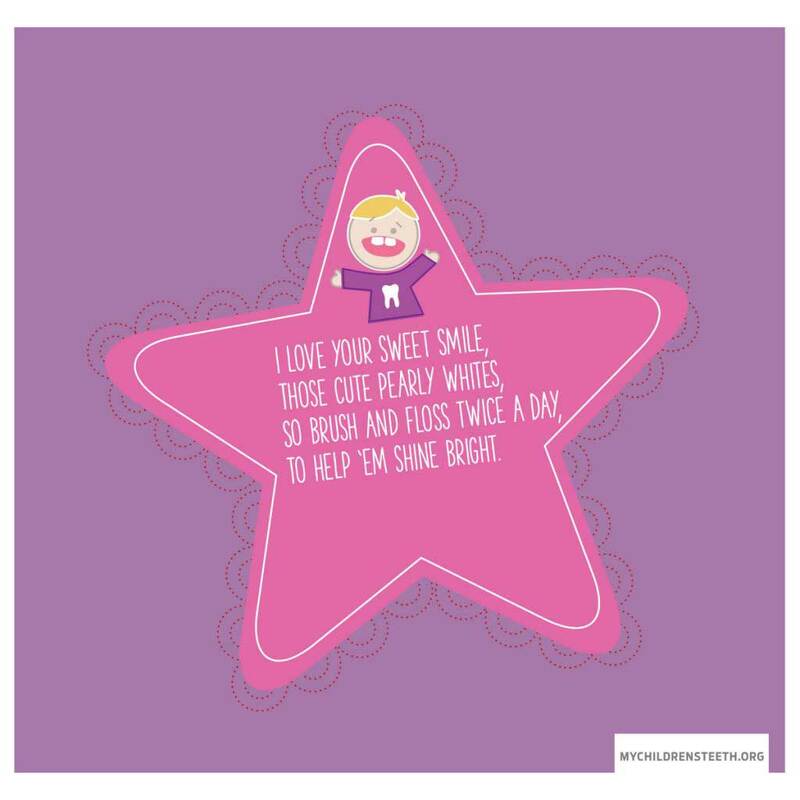 The American Academy of Pediatric Dentistry, the American Academy of Pediatrics, and the American Dental Association all recommend that parents establish a Dental Home – a home base for all of their children's dental needs – by their first birthday. Additionally, it's imperative to provide your child with a well-balanced diet which includes healthy fruits and vegetables for snacks. Finally, having a good home care routine with your child that includes parents brushing younger children and supervising older children. Your pediatric dentist can provide great tips for diet and home care, as well as provide information on your child's overall growth and development." Dental cavities and ways to prevent them are always top of mind. Although there have been great innovations in materials and preventive products, one of the most promising recent products is silver diamine fluoride (SDF). Silver diamine fluoride is a quick, relatively inexpensive and painless medication that halts the decay process as part of a comprehensive treatment plan. SDF shows great promise with very young children, individuals with special health care needs and the other potentially difficult to treat populations. In the case of a very young child, silver diamine fluoride offers the promise of delaying treatment until they are mature enough to undergo dental treatment in a normal clinic setting. Although not a final fix, it is one more option for parents to discuss with their pediatric dentist.